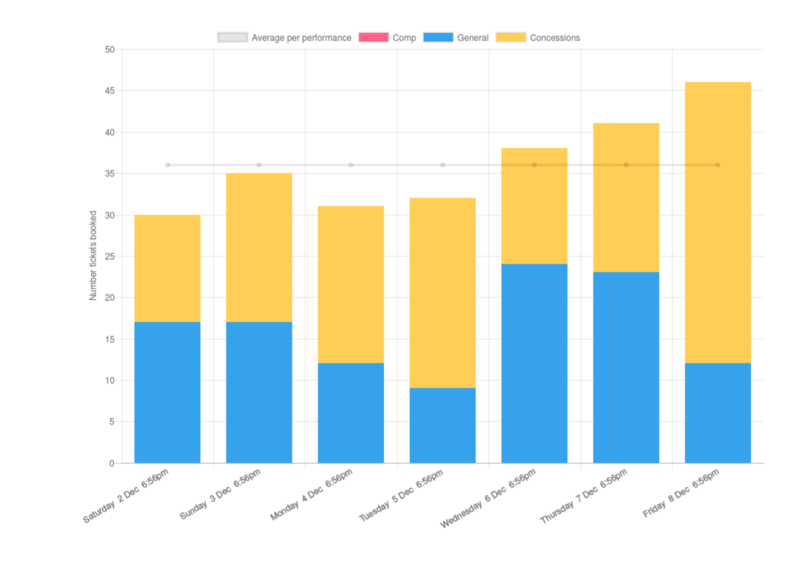 One thing we realised early in our user testing is that although having lots of data to trawl through in a sales report is important, most people don’t want to see all of it most of the time. In fact, we found that users were consistently looking at ‘headline figures’ such as how sales were going overall, or just for tonight’s performance. We also found a few people saying they just don’t have time to look through all the figures and that being able to get a quick overview of how it was selling and which performances were selling well would be really useful. So, we revamped our PDF sales reports - now the first two pages include all the things we found that people want to see most of the time. 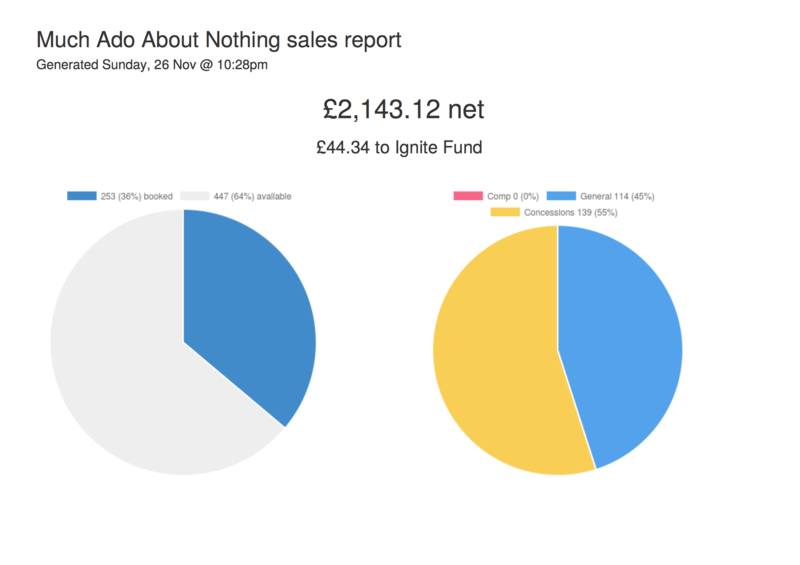 We also made fancy, colourful pie charts and bar charts so that you can quickly and easily see how sales are going, the breakdown of how ticket types are selling as well as how sales are for every performance. For those that need it, the rest is all still there, just a little further down, with some added page breaks to make it easier to find what you’re looking for. We hope they prove useful, let us know if you have any thoughts or comments!